I am pleased to announce that after months of searching, I have finally found my lipstick soulmate. *trumpets sound & light shines down from heaven* I feel as though Trendy Mauve (by Lancome) was made just for me! It’s a creamy, caramel-pink color & is neither too light nor too bold. 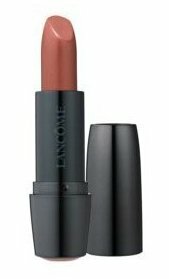 It has a creamy consistency, glides on easily & doesn’t feel dry like most lipsticks do. Although Lancome boasts about long-term wear, I can’t really corroborate. It does require reapplication, but that doesn’t bother me. It’s available at your local Lancome counter for $22 a pop, although I got mine as a free gift w/ my fragrance purchase. And as with most things in life, it’s also available on Amazon. It compliments my complexion so well, that it was difficult for me to swatch, so please refer to the pics below. Have you found your lipstick soulmate? Post the deets below! You and your eyeshadow girl! The lipstick is nice …. but the eyes??? Stunning!! Okay, you’ll be posting this FOTD soon, right:)? (Do you know, it took me a couple of days to figure out what “F” was because you mostly talk about the eyes;). And, the only reason I knew what the “OTD” was is because Michelle of Radiant Brown Beauty explained it a couple of months ago on her site! Never mind *whomp whomp*. I see it is the next post! I didn’t get en e-mail for that one, I don’t think! Okay, let me hurry up and read so I get in the shower and get ready for work!! You’re just like me! After the alarm goes off & before I turn on the lights I start reading emails & blogs, LOL! FOTD is a bit of the misnomer b/c I don’t really do a “full face” w/ foundation & whatnot, but I started using that name back in my FB days & it just stuck. Love it! 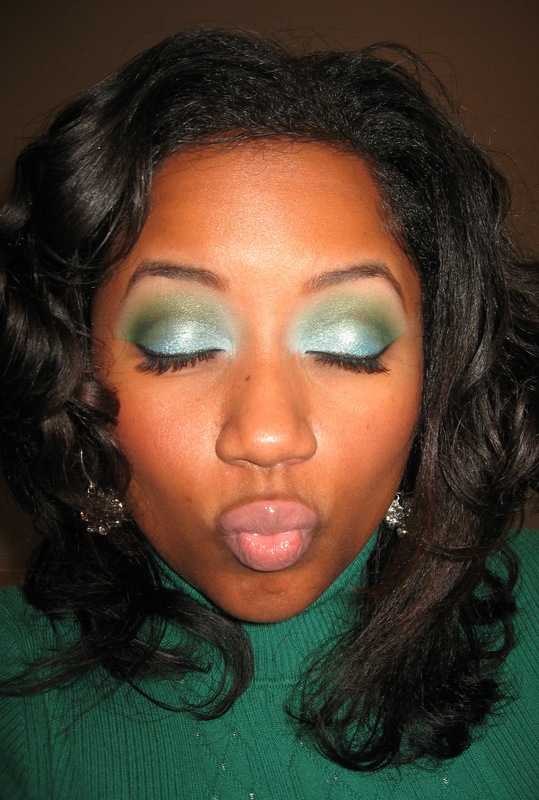 I need to step my make-up game up and get up an hour early just to get it right!!! LOL!!!!! Play with your eyeshadow on a Saturday, or one day when you don’t have anywhere to be. That way you can perfect your look before you add it to your morning routine. That’s a really good idea Sham. I just recently went out and bought a nice eyeshadow palette with 120 colors. I am hoping that I will get the hang of it soon. I played around this morning for my Christmas Dinner look and I think it worked. Yeah girl, I’m a mess! I look at it on the iPhone. Then get up, put my water on for coffee and get on the computer until it’s ready, make it and then sit back at the computer while I drink my cup!! I got it bad!! LOL!! Blogging is addictive… Most days I don’t even turn on the TV.